On a previous post, I mentioned that I made these coconut palmiers for a family get-together and they absolutely loved it. Well, I'm finally sharing the quick and easy recipe with you. 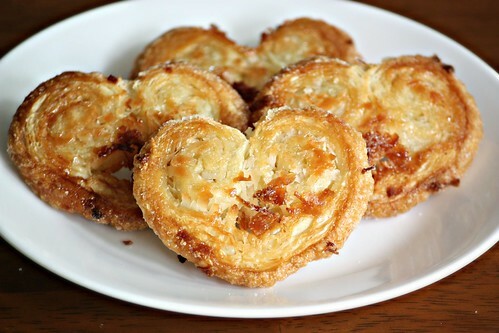 And I'm also going to show you how to make them into these cute little hearts. They're just perfect for Valentine's Day! 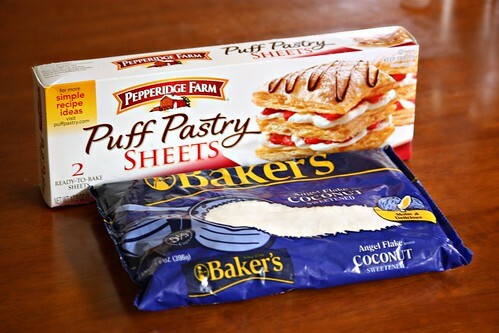 Let the puff pastry thaw at room temperature. Preheat oven to 425 degrees F. Line two baking sheets with parchment paper or silicone baking mat. 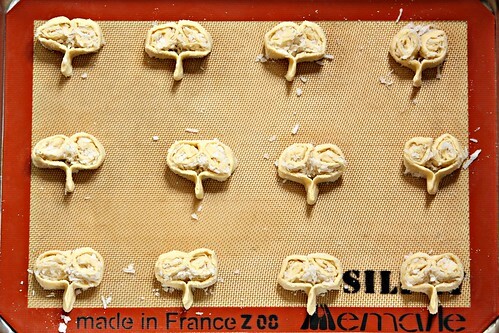 Take one sheet of puff pastry and unfold it. Generously sprinkle it with granulated sugar. Then generously sprinkle it with flaked coconut. 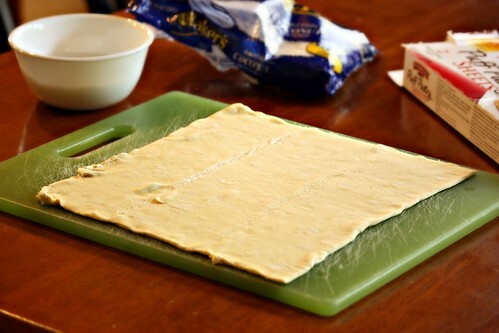 Tightly roll each side of the puff pastry toward the center. 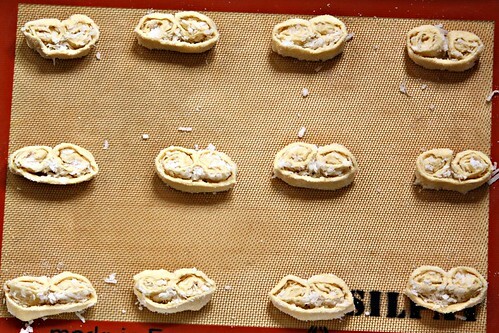 Press the two sides together then sprinkle the log of puff pastry with sugar. 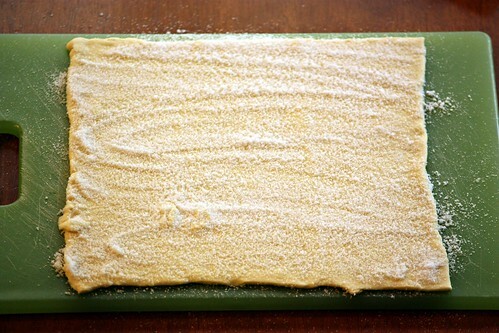 Repeat the process with the second sheet of puff pastry. Using a sharp knife, slice the log into 16 pieces, about 1/4 inches thick. 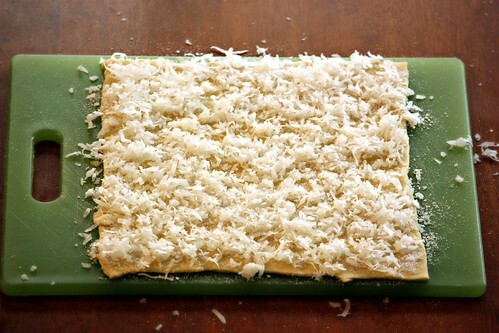 Transfer onto prepared baking sheet and space them 2 inches apart. 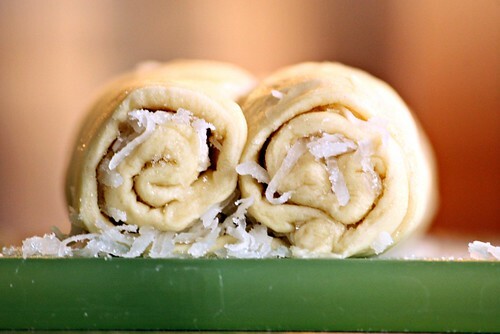 Pinch together about 1/2 inch of dough, right below where the two rolls meet. Bake for 5 minutes or until golden brown around the edges. Remove from the oven and, using an off-set spatula, carefully flip the cookies. Return to the oven and bake for another 5 minutes. Carefully transfer onto a cooling rack. 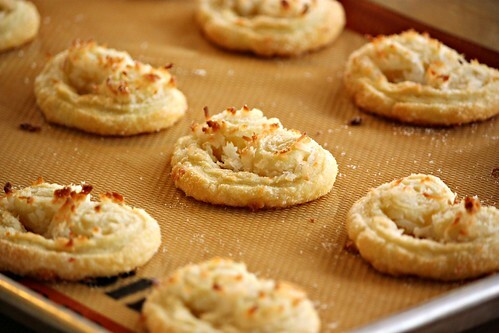 Let the palmiers completely cool before serving. 1. Drizzle them with melted chocolate and enjoy them with some coffee. 2. Serve it to accompany a scoop of ice cream. 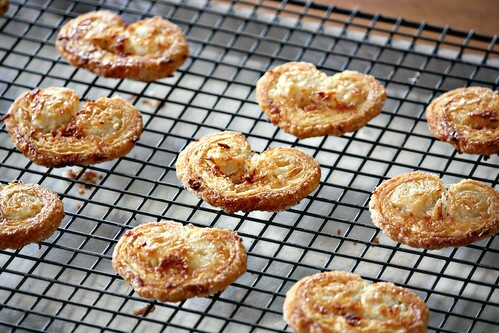 Yum, love palmiers and they would be so great with coconut! Why had I not thought of that before?! Also, great to find another NZ food blogger :) Hai! Really mouthwatering! A perfect afternoon tea snack. when i saw the pix - cld never think that this is simple....but it is , u r right !! love it !! have to bookmark this !! A great recipe and easy to prepare. Looks delicious! I love palmiers. They are so simple and yet look so elegant. I have been working on making my own puff pastry. It just takes so much Earth Balance!